One of the blackbuck’s most striking features is the pair of long spiralling horns possessed by the males. In order to hold up these magnificent horns, males are significantly bigger and stronger. Their rich dark brown coat is also distinctively different to the female, which has a ligheter colouring. Females do not grow horns. The twist of the male’s horns is a result of a growth pulse. This means the horn material alternates between growing fast and thin, and then slow and thick. Blackbucks are a sociable animal living in herds ranging from 5 to 50. The herd will graze for most of the day, even withstanding hot temperatures. Blackbucks are preyed upon by wolves and leopards. Nature, however, has given them means for a fair chance of escape. Their main defence is speed. When a potential predator is sighted, Blackbuck leap high into the air, perform a number of smaller leaps and then gallop away at speeds of up to 80 kilometres per hour. Blackbuck was once the most abundant hoofed mammal in India and Pakistan, but their populations have been greatly reduced through excessive hunting and loss of habitat. In 1975 the population in Nepal had been reduced to just nine. Conservation efforts have increased that number to 200. With continued local and international efforts, this number should continue to rise and these striking animals saved from extinction. 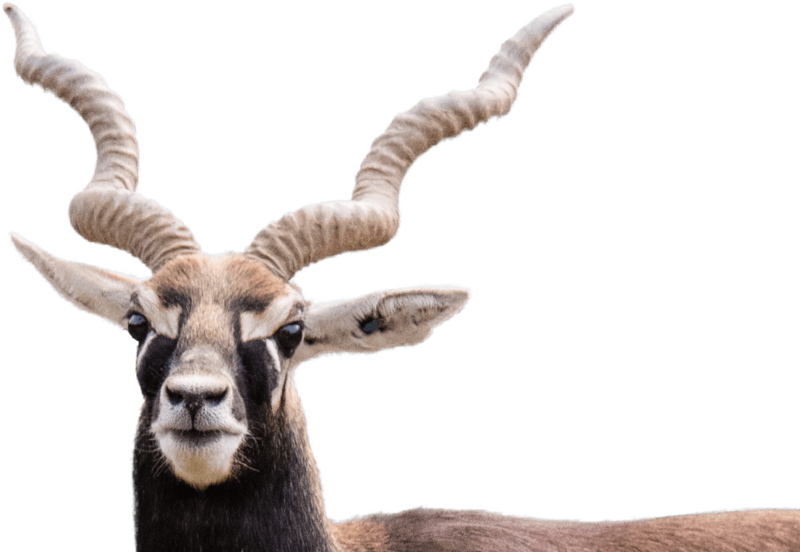 The National Zoo & Aquarium is home to 6 Blackbuck.